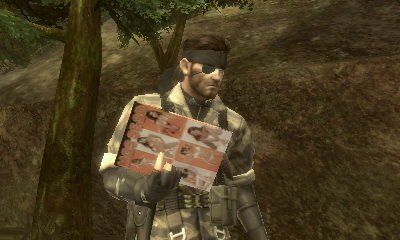 And Metal Gear Solid 3. You can't be more Kawaii than that. I had looked those games from catalogues, but.... unfortunately, their cuteness couldn't compare with cuteness from 3DS games. It seems, their cute games from Sony just still not strong enough to convince me. There are NO Ps vita games like on 3DS such as Cooking Mama, Miitopia, Style Savvy Fashion Forward, Nintendogs, Fantasy Life, The Snack World, Yokai Watch 3, Tomodachi Life or from NDS such as Animal Boxing , Ochaken no Heya series, Imagine series, Petz series, My Sims series, Minna no Conveni/Suizokukan/Doubutsuen, etc. Cute games on Sony still targeted for Male audiences more than Cute games on Nintendo that targeted for Female audiences more than Male audiences. I have a lot of cute games that targeted for Female audiences such titles on above. And that's the reason why did i say No Cute games for ps vita, because those titles you mentioned about are Not impressing me at all. Those are Boring titles that i will never consider. And remember, my Kawaii games are mostly developed by Japanese developers, Not by Western developers. For Western developers, the Cute games for me on Nintendo machines are Animal Boxing NDS, My Sims series Wii/NDS, LEGO City Undercover Wii U/Switch/3DS, Portal Knights Switch. To tell you, when i looked at PS Vita games library from playasia, with Filter rated E & E10+ Only, i found Nothing interesting. I changed with PEGI 3/7/12 & CERO A/B, still Nothing interesting. If there is, it just Only World of Final Fantasy & FF X , FF X-2 , but for me they are still Not worthy if i coudn't find at least 12 different titles for machine Without Backward Compatible with previous Physical media. Also, i had realized if World of Final Fantasy from my PS4 version that also on PS Vita version was Not really satisfying as i expected (Kinda same boring with Kingdom Hearts / FF XIII). Well, that's pretty clear if Graphics was Not everything. In other words, the titles that you think are cute for you, maybe Not for me. I'm not sure this really means anything. It was basically already dead anyway because no new games were being produced for it. But at least it makes it more acceptable to discuss the modding and hacking scene. One of the only reasons I'm actually hanging onto my Vita is because I want something that can play some old games that are unavailable on all other platforms. Crisis Core, Legend of Dragoon, Chrono Cross, Xenogears, Star Ocean 1&2. If you live in europe, there's no official way of playing any of these on a modern console. @Anti-Matter Yeah, to each his own. However, the thing is that the Vita does have cute games, regardless of your preference for 3DS games. You said they didn't have, not that you preferred the ones on 3DS. About the "cute Sony games" being directed to male audiences while the "cute Nintendo games" are directed to females, I don't think that's true. It simply depends on the title, for example Little Big Planet is presented as a game for the whole family regardless of genre and age. It's definitely good for kids, but also quite enjoyable for their parents if they want to share the experience. The Hatsune Miku game is directed mostly to females and people that like rythm games and lolis or whatever they are called. Just as with the 3DS, the titles target different audiences. Personally, I would bet that the majority of cute games tend to target kids as their main audience more than a specific genre and regardless of the company. I think that your bias against Sony makes you assure things about their games that most of the times aren't true, and the same happens when you consider a game violent or "for adults". I have nothing against your preference, you are free to like whatever you want, I'm just telling you that you are misinformed and you generalize too much on companies (like considering Nintendo the "good" guy) and games (thinking that certain games shouldn't exist). I don’t think it’s worth the time discussing this. He doesn’t really want other opinions. Most of the good games were digital-only anyway, so this news doesn't interest me as much. I only have like, 6 ish physical games. I know I will probably get a lot of flak for this, but the Vita is in some ways better than the 3DS. I also thought the PSP was better than the DS. Vita has much better indie games, and far more of them, than on the 3DS. If you hate indies, then I can understand you liking the 3DS more. Vita also had some good non-indie games too, so you had the best of both worlds. 3DS has some good games too, but really paled in the indie output. @Yosheel Yeah, I tend to forget that about him. @Freelance I loved the PSP , it was much better than the DS for me. Aside from TWEWY and Okamiden, there wasn't anything on the DS library that I desired. Games like Dissidia, Crisis Core, Twisted Metal, the Metal gear Games, Digimon, Resistance Retribution and many others made it my most played handheld until the 3DS arrived. The cutest game on Vita sure as heck isn't Metal Gear 3. 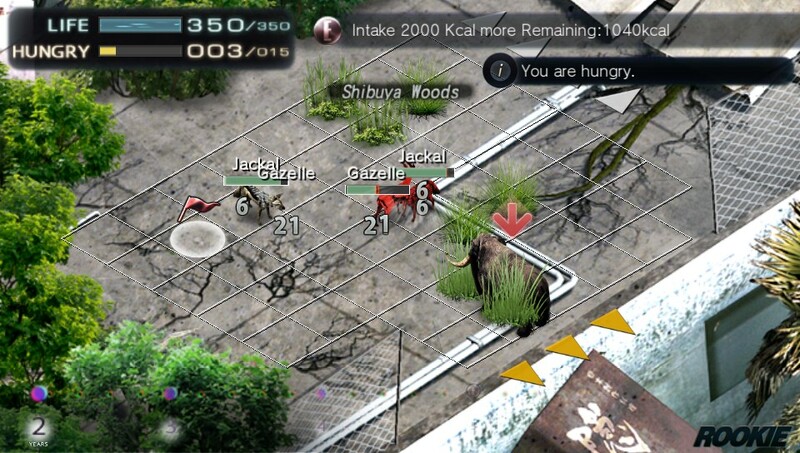 It's Tokyo Jungle Mobile, d'uh. You know that game, the one where you can play as a predator (lion, wolf, etc) and mercilessly maul and devour prey -and- predator alike, and devour them. Even more, you're expected to kill far more than you can eat to increase your rank and make you uber irresistible to the ladies. If that isn't adorably cute, I dunno what its. And that's why i'm tired to explain my definition of Kawaii games. Kawaii for me = Kiddie, Pure 100% Cute, Safe for Kids. And peoples above think rated M = Cute. I felt insulted to hear that. It sounds like they didn't understand my interest. Tearaway is also pretty cute if you find papercraft cute. Flower, Resident Evil 2, Hello Flowerz, and Plantera are very cute. Danganronpa is the whole reason i bought a Vita in the first place. PlayStation Vita Pets would be cute too if they didn't talk. I don't want my pets in a pet game to talk. That's just too creepy for me. Why can't they just act like cute normal pets? Did we ever find out why Sony despised the Vita and wanted it to die a miserable death? Because I never figured out that part. Nintendo in 2018 doesn't hate the Wii U as much as Sony despised the Vita from almost day 1. I mean, that has to be why Sony did what it did instead of Sony actually trying to make the Vita successful. Felt like these indie and Japanese devs were taking the Vita away from its abusive parent. It's was the weakest puppy of the litter. The mother decided to leave it to die to focus on the strong puppy, but the human caretaker picked it up and nourished it by hand. It has lived a good life, but it was never really as healthy as its brother. Poor little vita. Now all it does is look up at you from its bed whenever you walk by. Sometimes it stands up and plays around, but it gets tired fast and goes back to bed, breathing heavily. You know one day you'll wake up and it won't look up at you. Its tail won't wag, its ears won't raise to hear you better. But you don't know when. @kkslider5552000 Sony has a pattern. They have their main console they put their weight behind. Anything else, PSPGo, PSP, Vita, PSVR, Move, Wonderbook, EyeToy so on so forth, they slap the PS brand on and hope it sells and if it doesn't within 6 months they sweep it under the rug. It's the mentality that let them try and do what they did with the PS3 and is resurfacing as the PS4 lead grows heading towards PS5 - "Oh it has the PS name on it. It'll sell regardless"
Not that people don't understand your interest they just don't care for it. Every time you repeat the same crap over and over. Sometimes is hard to argue with troubled individuals. On more serious note. Sony is to blame for that. I like my VITA but they destroyed it because they only cared for PS3 and PS4. I hope they do not try and make new one. They will 100% fail again. Handheld is Nintendo kingdom for the END of time. I don't know why someone would think the PS Vita doesn't have cute games.